Mechanism Chief Prosecutor Serge Brammertz is visiting Podgorica from 28 to 30 January 2019. The Prosecutor is meeting with President Milo Đukanović, Deputy Prime Minister and Minister of Justice Zoran Pažin, Minister of Foreign Affairs Srđan Darmanović and Supreme State Prosecutor Ivica Stanković to discuss continuing and strengthening cooperation between the Mechanism Office of the Prosecutor (OTP) and Montenegrin authorities on war crimes justice, the search for missing persons and overcoming the legacy of the recent past through reconciliation, particularly following the closure of the International Criminal Tribunal for the former Yugoslavia. 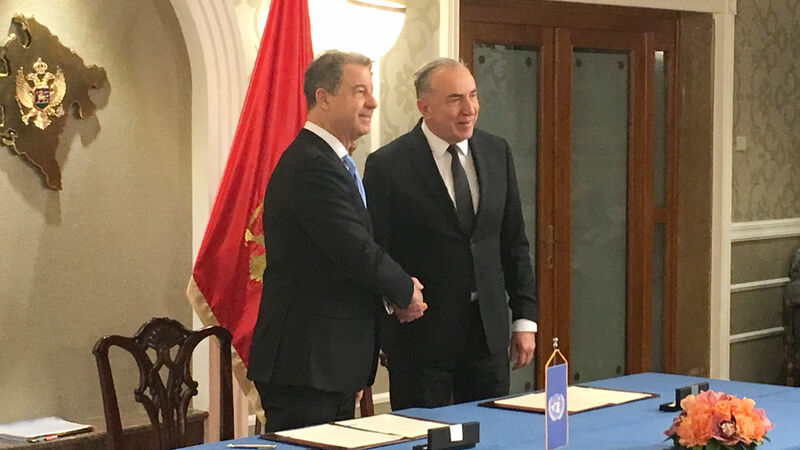 This morning, 29 January, Chief Prosecutor Brammertz and Supreme State Prosecutor Stanković signed a Memorandum of Understanding between the OTP and the Supreme State Prosecutor’s Office of Montenegro on cooperation in the prosecution of war crimes and other serious violations of international humanitarian law. Through this agreement, the OTP will provide the Supreme State Prosecutor’s Office with access to the OTP’s evidence collection and respond to requests for assistance. Prosecutor Brammertz also informed Supreme State Prosecutor Stanković about other assistance the OTP can provide, including direct assistance on ongoing cases, legal advice, training on advanced prosecutorial skills and support to regional judicial cooperation.